Owen Buffington is a mixed-media artist whose work explores the intersection of geography and the visual arts—in particular the role drawing plays in shaping how we describe, define and organize everyday spaces. 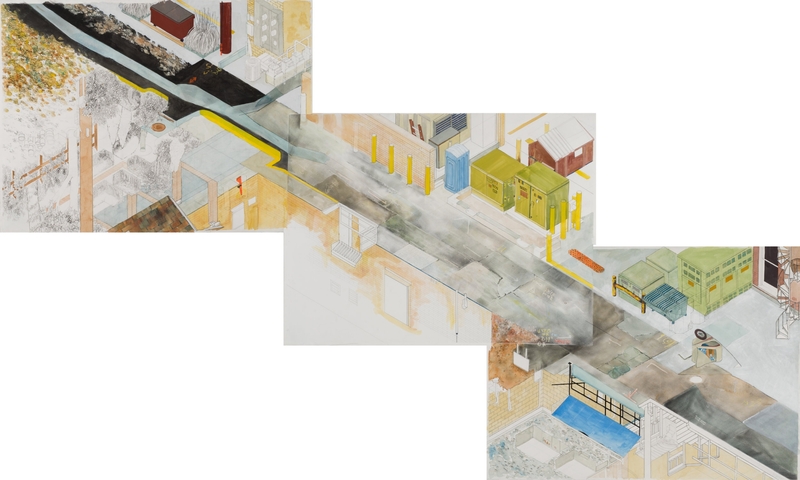 Drawing from the visual language of maps, blueprints, plans and diagrams, he creates a personal geography of the places around him that privileges the messiness of lived experience over the tidiness of idealized space. Owen Buffington received an MFA, with an emphasis in drawing, from the University of Arkansas in 2017, and a BA in geography and urban studies from Macalester College in 2004. Owen Buffington is the Woods Charitable Fund Artist-In-Residence.